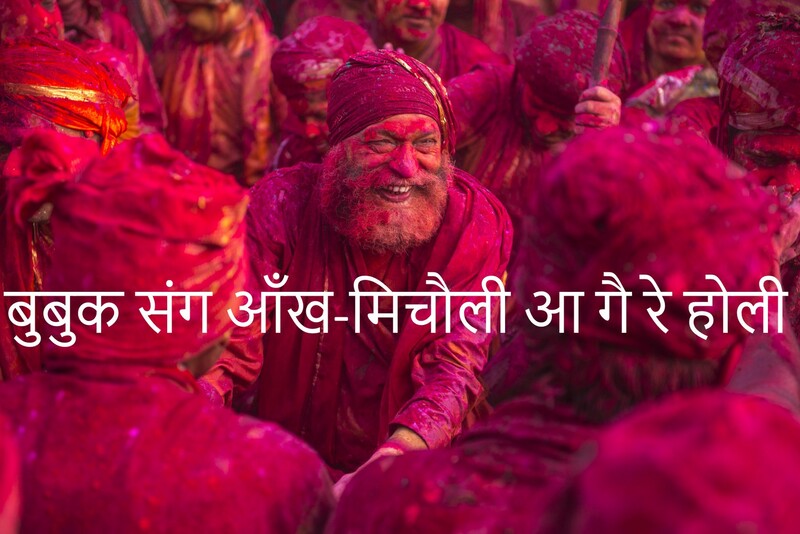 Today, when Uttarakhand is facing threat of desertion, festivals like holi — when masses return back home, though for a very short while, revive the atmosphere and fill it with a new wave of energy. This poem is an attempt to capture the week long celebrations of Holi at my native Uttarakhand. I have deliberately used a mix of English, Hindi and Kumaoni, as it represents people like me who are not very fluent with Kumaoni.